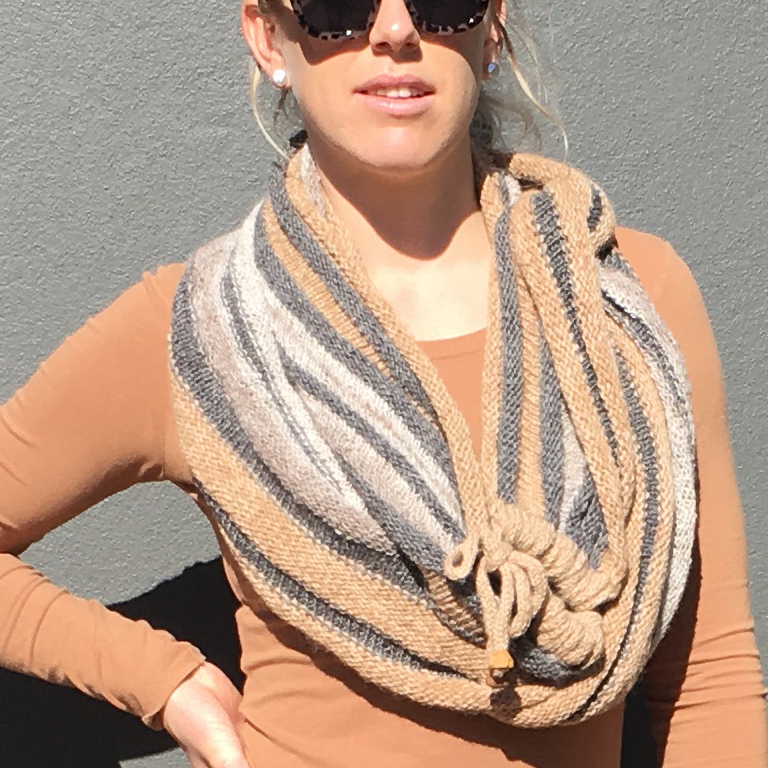 The ORA Alpaca Rib Cowl Tan and Greys hand knit is a cowl of abundance and can be worn long or wrapped two or three times around the neck for warmth and style protecting against the cold wintery winds. 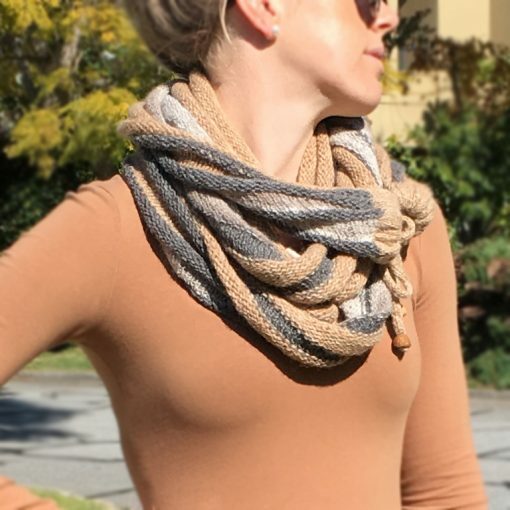 An interesting little feature of this ORA Alpaca Rib Cowl Tan and Greys is the adjustable knitted I-cord, when drawn together it adds a unique character to this abundant cowl’s style. 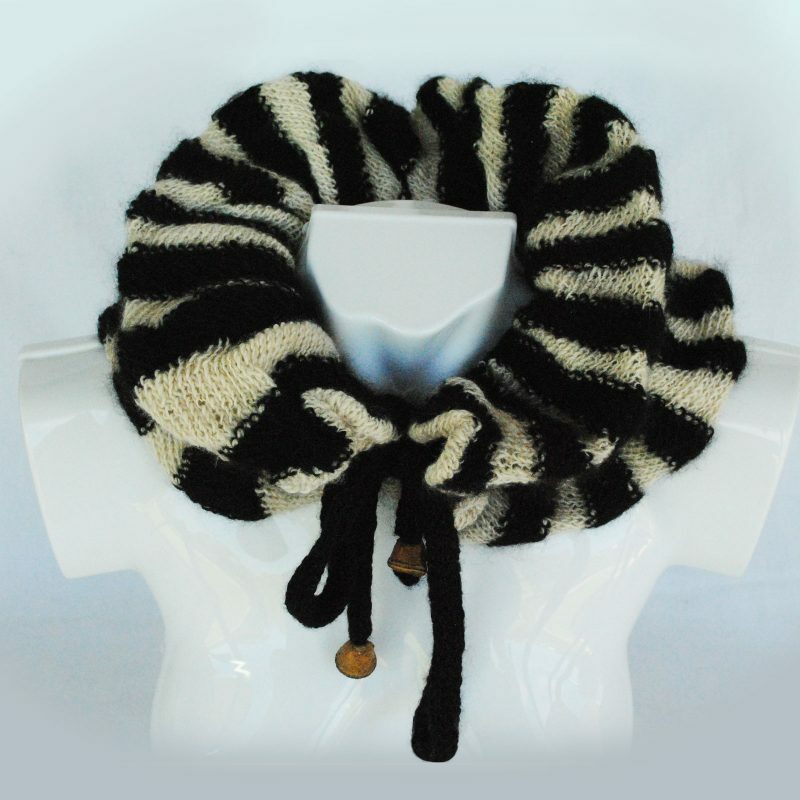 The I-cord ends are furnished with attractively blending beads. 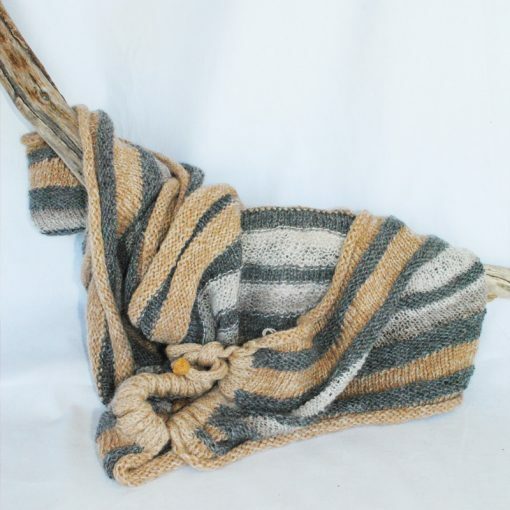 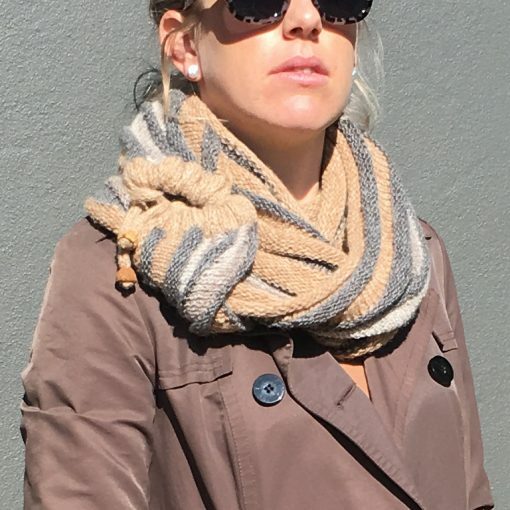 The Alpaca Rib Cowl Tan and Greys can be worn very easily, with many casual styles because of the neutral tones and the simplicity of the stripes. This Alpaca Rib Cowl Tan and Greys looks great with a coat or jacket and adds panache to a casual look of long sleeve T shirt and jeggings. 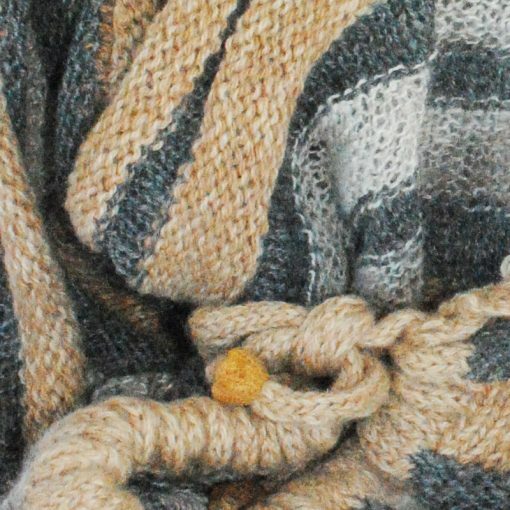 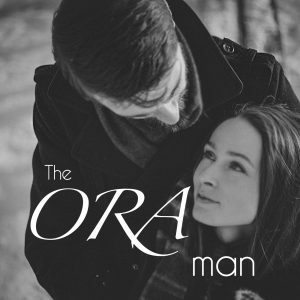 All of the ORA Signature Yarns have been hand spun using natural alpaca colours of light tan, deep grey and a soft rose grey alpaca that has been highlighted with white silk thread in the spinning process. 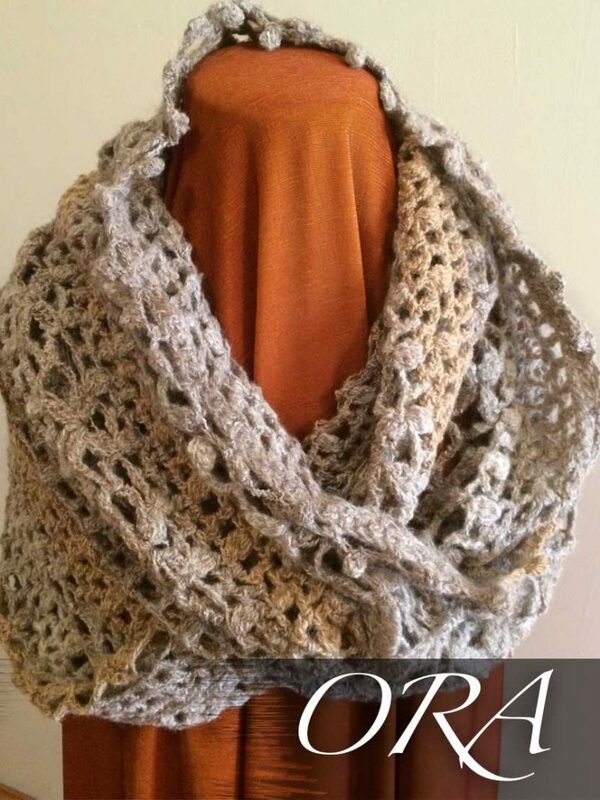 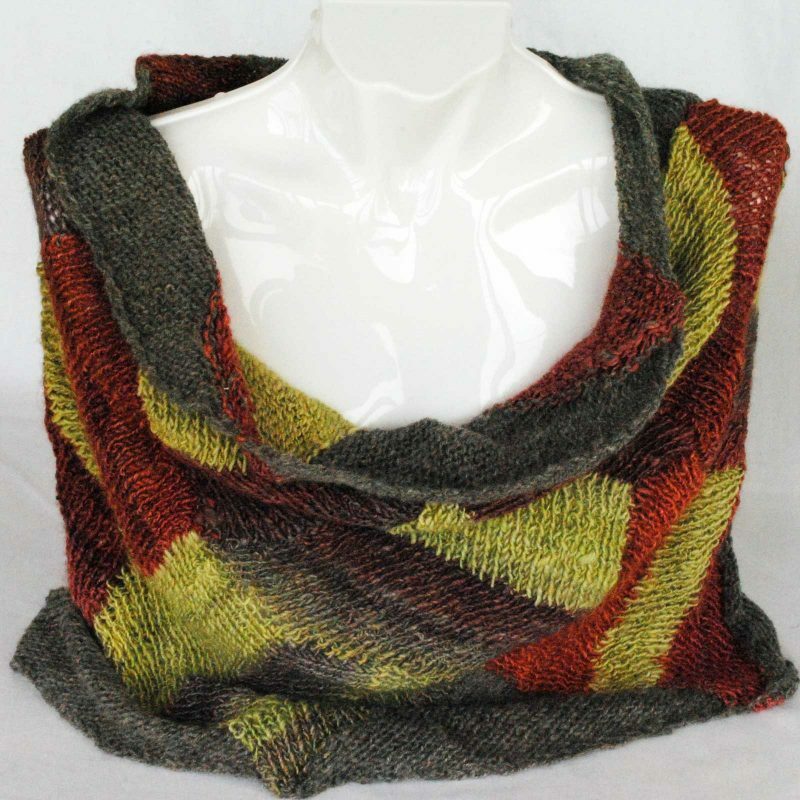 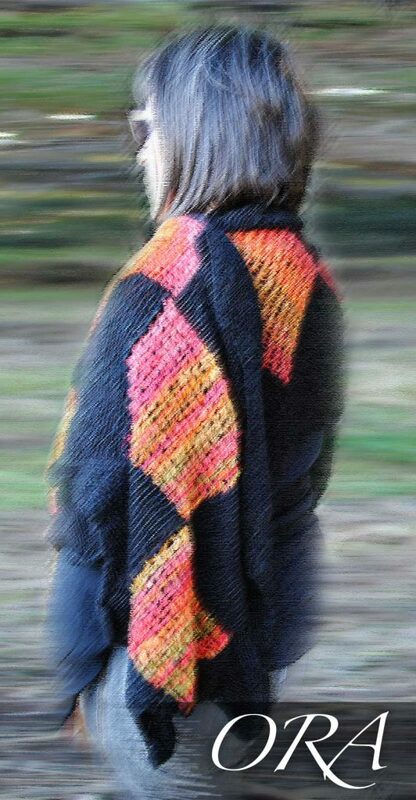 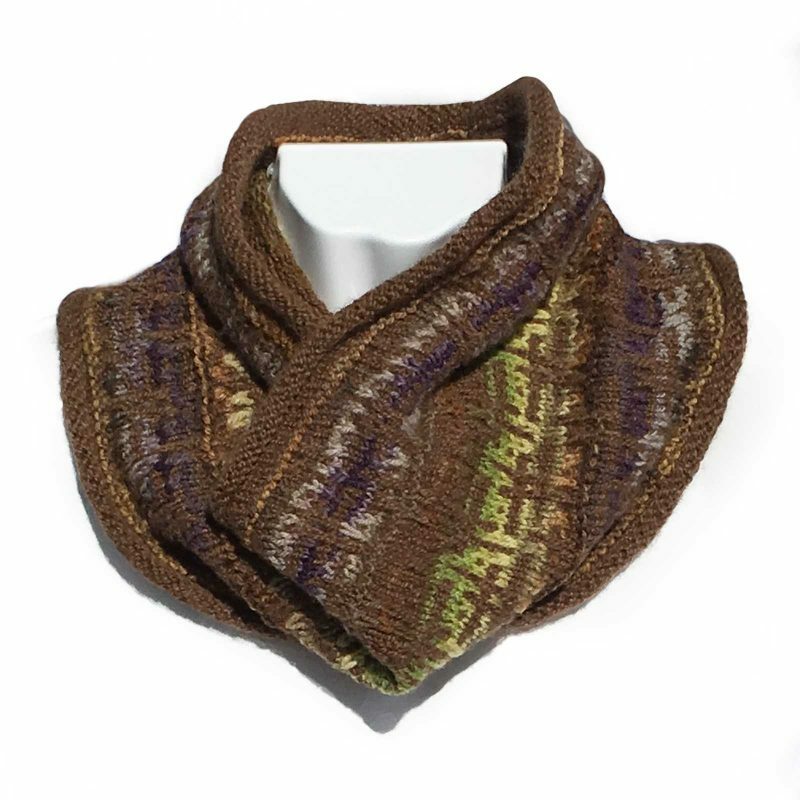 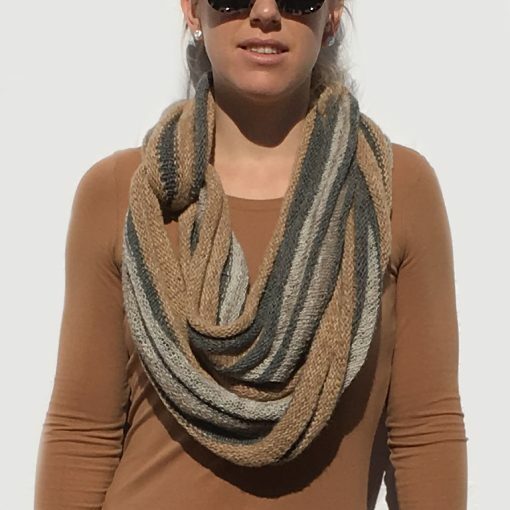 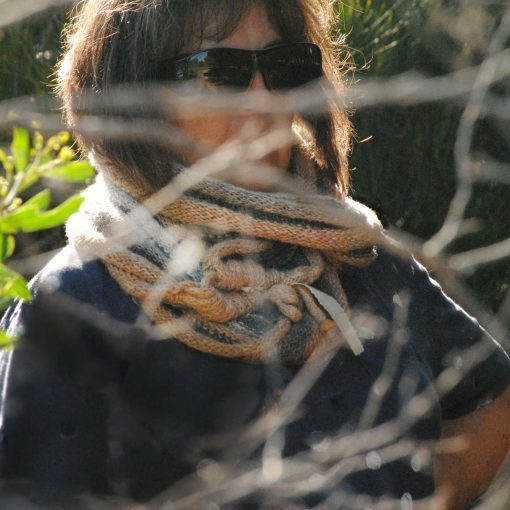 The Alpaca Rib Cowl Tan and Greys is displayed on our size 8 model.